If you’re like me and have tried a few cleanses or detoxes already, you’ve probably got a favourite or an idea of which ones work for you and which don’t. Since 2010, I’ve regularly been using Dr. Miller’s Wholy Tea. When I need a good cleanse from a weekend of drinks and food I really shouldn’t be eating, I always turn to Wholy Tea. As a regular tea drinker, this one was an easy choice and fit with my routine and it doesn’t taste gross! 😛 Those are just a couple of the perks I’ve had with it and since I’ve already introduced my health & fitness series, it sounded like a perfect match to post my review of the tea for anyone looking for a cleanse to try! Unlike a lot of cleanses out there, Wholy Tea can be used as often as you need it. It’s made of all natural ingredients and promotes that by the end of the detox, many have experienced seeing a more youthful appearance to their skin, increased energy and a sense of greater happiness. If you suffer from things like acid reflux, constipation, indigestion or bloating, you will be able to use this tea without a problem. But, if you experience hypersensitivity or allergies while taking this detox, it’s recommended that you discontinue use or consult your doctor. Price: Around $34 CAD at nutritional stores. It’s also available on their website. 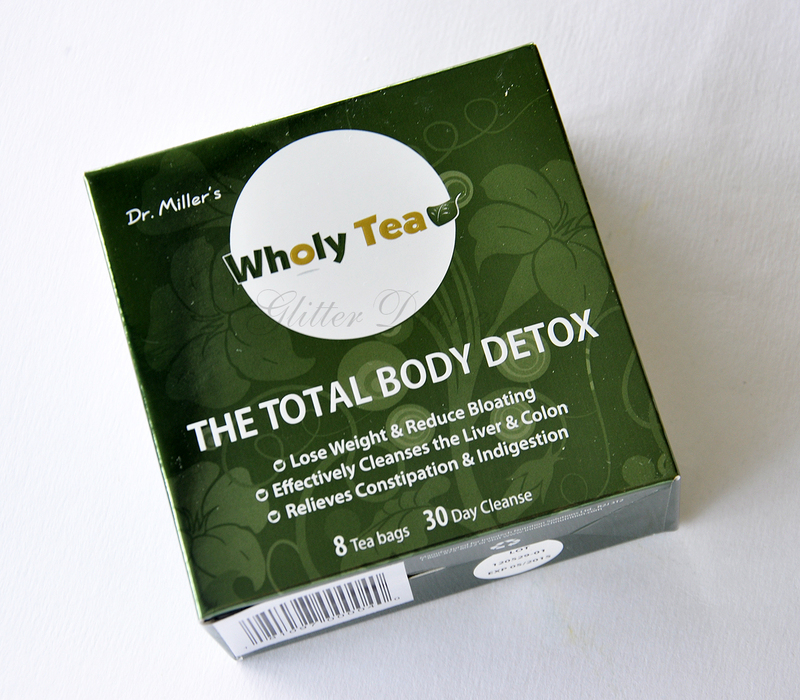 Recommended Purpose: Wholy Tea contains a unique blend of all natural herbs traditionally used in herbal medicine as a liver protectant, to promote natural digestion, colon cleansing and detoxification. Helping restore balance and optimal regularity to your body. Ingredients: Persimmon leaves, Malva leaves, Holy Thistle, Marshmallow leaves, Blessed Thistle. Directions: Boil 2 litres of filtered water (I boil 4 litres and use 2 tea bags). Remove from heat and add one tea bag. Cover and let sit for 6-8 hours. Pour into container and keep refrigerated. Sweeten and/or add lemon if desired. Leave tea bags in container until the tea is consumed. The whole detox package lasts a month which is a good amount of time in my opinion to rid the body of toxins, etc. You can put the tea in a pitcher or, like I do, in tupperware containers that are big enough to contain the tea. This helps make sure the tea is as fresh as possible. 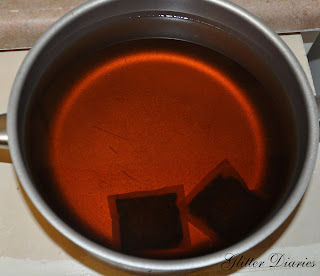 I enjoy the tea without having to add any sweetener or lemon and have gotten used to the taste. I think it tastes like any other herbal tea but when I first started this detox a couple years ago, I couldn’t stomach it! The detox also comes with a suggested meal plan for the month. I haven’t ever copied my diet to go along with the meal plan but it has given me ideas on what to keep in my diet and what to take out while I’m on it. The meal plan suggests to target for 20-30g of protein per meal and 5-7g of protein for most snacks as this will help keep your blood sugar levels at a stabilized level (at 4-6). Caffeine isn’t allowed and only a limited amount of alcohol is preferable. This has been tricky for me as I’ve become a coffee drinker lately and to go without it has been tough but I’ve substituted those cravings for green tea (which I already drink, but not enough) to keep my energy up. The meal plan suggests a low grain intake, no sugar (obvious one), no artificial flavors/preservatives such as sodium nitrate and no commercial sauces/condiments. And as usual especially with any detox, make sure you’re drinking enough water (at least 8 glasses) to keep your body fueled and to help with the flushing out process. The meal plan starts you off on a pretty strict first week as the first week is when things really start leaving your system and then in the weeks after, they allow you to introduce in around 20 mins of exercise a day to help you maintain the cleansing routine. I’ve never had any issues taking this detox while working out for an hour at least 4-5 days a week but it really depends on where you’re at health wise while you’re taking this. 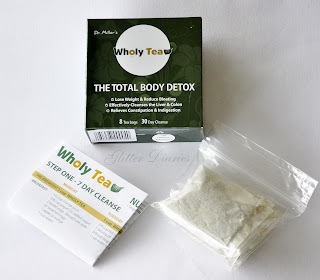 I’ve always turned to Wholy Tea as my “seasonal” detox. I’ve always been able to lose those left over lbs I’ve gained from a family bbq or holiday cooking and have never rebounded back to original weight. This tea has always been safe for me to take and you’re allowed to take it as much as you need it because it’s all natural. This is a great starting point for anyone interested in trying a detox but doesn’t want to get into something extreme. Everyone’s results are different. There’s been times when I’ve lost 10 lbs and then others where it’s only been 5. But every time I’ve finished this cleanse, I’ve felt a little different – more awake and energized than before. Have you tried a cleanse? If so, which have you tried and what were your results like? !